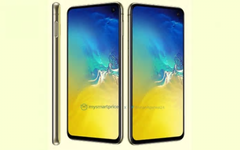 Samsung has apparently got imaginative with the available color schemes for the upcoming Galaxy S10e variant of the expected flagship smartphone series. We already reported on a Canary Yellow version, and thanks to talented tipster Ishan Agarwal, we can now see what it’s actually going to look like. If you are reading this post on your device with the display at full brightness then you might want to turn it down a few notches first! Ishan Agarwal and MySmartPrice have posted apparent press renders of the Samsung Galaxy S10e in its much-vaunted Canary Yellow livery – and there’s no denying it will easily stand out from the horde of black-colored handsets out there. The front of the device is as expected: Infinity-O display and punch-hole camera. 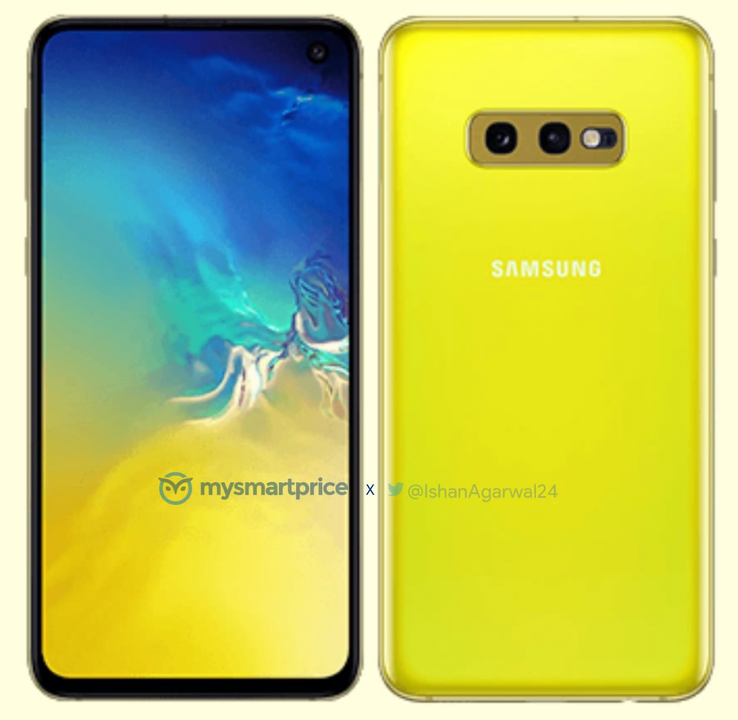 The rear of the Canary Yellow Samsung Galaxy S10e is definitely a sight to behold and is likely to split opinions. 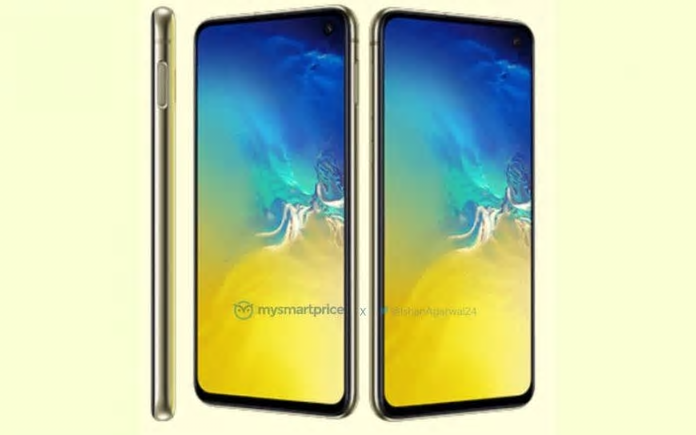 In all fairness, Samsung could have made it much brighter, and the supposed press render does seem to suggest there might be another color or two in the mix to help make the rear less potentially startling. Fans of the color yellow will undoubtedly be delighted with it. The 5.8-inch Samsung Galaxy S10e is the “lite” variant of the soon to be announced series. It’s believed it will measure 142.5 x 70.5 x 8.1 mm, which includes the controversial camera bump. If you’re not quite into the Canary Yellow coating, the S10e should also be available in prism black, green, and white – as we recently reported on.